Why they ever let Rosa Prince near a newspaper is one of those modern mysteries that is beyond human ingenuity to resolve. Styled as a "Political Correspondent" her talents (not) are well demonstrated in a piece she writes for our favourite newspaper, telling us that more than 30 waste incinerators are set to be built around the country as councils seek to avoid substantial hikes in landfill taxes. Under European Union rules, she adds, landfill charges are set to rise from £32 to £48 a ton by 2010, and local authorities have struggled to increase recycling rates to levels which would substantially reduce the rubbish mountain. Then, apparently not making, the link – and heavily imbibing the received wisdom - she blandly tells us that, "Many are now said to be considering incineration as a means of replacing expensive and environmentally damaging landfill sights (sic)." Er … even the Green Party admits that it costs only £30-50 to landfill a ton of mixed waste, compared with £90-190 to incinerate it. At top rate, therefore, you are talking about £98 per ton (but as low as £78 even with maximum tax), as against costs which start at £90 and go up to £190. In fact, an industry estimate puts the cost at £12 per ton which makes the maximum landfill cost nearer £62 per ton, very much cheaper than incineration. Clearly, therefore, cost is not the issue – and neither can landfill be considered "environmentally damaging". In many respects, it is the most environmentally friendly (and energy efficient) form of disposal known. 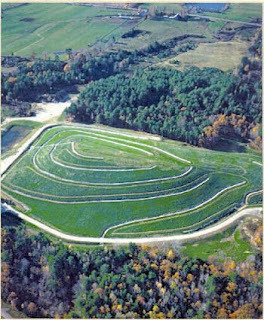 This is more so if it is given its alternative label of "land reclamation" (pictured) and there is methane recovery in place – which currently provides 30 percent of our renewable energy. The point, of course, is that Rosa Prince has missed the point. The reason why local authorities are being forced into building a vast network of waste incinerators is because the EU requires it. As pointed out by The Guardian last year, the infamous landfill directive lays down a hierarchy of options, starting with waste reduction and recycling, through incineration and thence to landfill, to be used when there is absolutely no other alternative. And since the limits of recycling capacity have already been reached, local authorities have no option but to build their incinerators. Last year, the number was estimated at "in excess of 20" and now it seems to have grown to 30. All that is to achieve the 75 percent diversion from landfill required by 2010, which will cost us £5-8bn a year with an additional £10 billion infrastructure costs. We quarry about 260 million tonnes (mt) a year of land minerals, mostly limestone, granite and sand and gravel, plus 9mt a year of opencast coal. In terms of volume, that equates to new holes with a capacity of about 110 million cubic metres (mcm) a year. Our existing licensed holes have a capacity of about 700 mcm. We produce less than 100mcm of waste and refuse a year. The system, as scientists would say, is therefore in equilibrium. The waste "crisis", therefore – says our man – has been created artificially by a combination of EU blind stupid regulation and the Labour government's cupidity (not that the Tories would be any different). Perhaps now, with the economic situation tightening, the general public will begin to see the madness of this scheme - a criminal waste of resources - when cheaper better alternatives are available. But, as long as journos like Rosa Prince are allowed to write the story, the public is going to have difficulty understanding quite how badly they have been shafted.